What colour is your parachute, PhD? No one book can cover everything a job seeker might find useful to know, but with that in mind, Parachute is an excellent resource for anyone seeking employment outside academia. 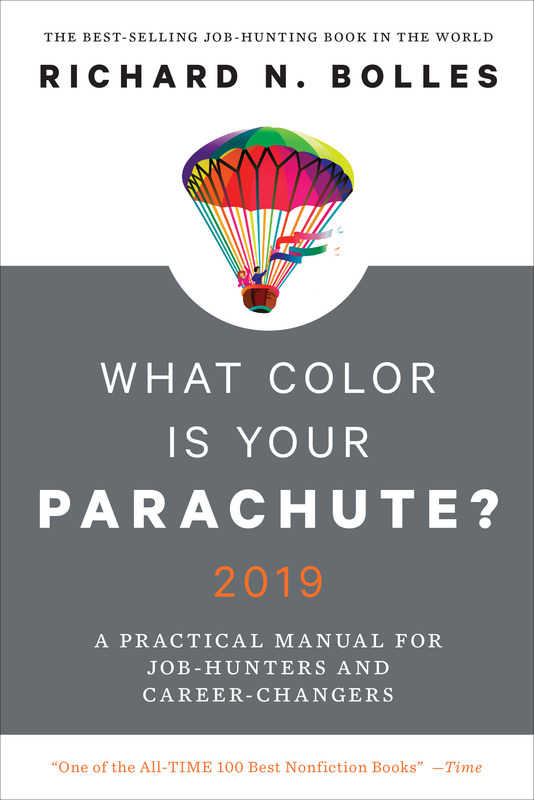 This is a review of Richard N. Bolles, What Color Is Your Parachute 2019: A Practical Manual for Job-Hunters and Career-Changers (New York: Ten Speed Press, 2018). 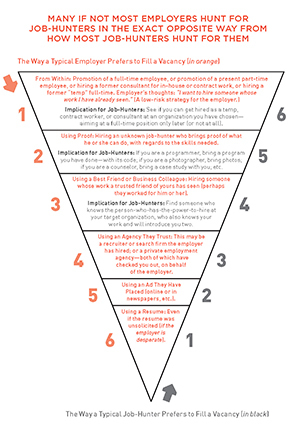 When I first started seriously thinking about what I’d do for work after completing my PhD, one of the resources I turned to was the classic career guide, What Color Is Your Parachute? I borrowed the online version from the Toronto Public Library, and learned some important things. Mostly, I remember being thrown off by the author’s awkward comma usage. It’s funny what sticks in your mind. But this book helped me understand how job hunting actually works outside of academia. I had a general sense that jobs were things you got after a formal application and interview process. Maybe you took some assessments to help you narrow down options, but then you looked at job ads, applied, and hoped for the best. Doing that – and only that – was, I learned, the least successful strategy I could employ. Mr. Bolles instead suggested a method that involved what can seem like an awful lot more work: Figuring yourself out and then talking to lots of people. Only then should you start applying for jobs, and ideally only at places where you have a meaningful contact or clear (and uncommon) linear work experience. And after years of working with PhDs on their own job searches and speaking with hundreds of them about how they secured meaningful employment, I know he was right. Probably 95 percent (or more!) of the people who’ve written blog posts, done one-on-one interviews, participated in panels, or lead seminars for Beyond the Professoriate found networking to be crucial to their job search. Sometimes, in surprising ways. Ten Speed Press sent me the latest version of Mr. Bolles’s book. (He passed away in 2017, before it went to press.) It provided me with a good excuse to read it again, cover to cover. Graduate students and PhDs seeking employment beyond the professoriate often think as I used to: that the way to get a job is to apply, often to an online job ad. That means you put together a resumé (“converted” somehow, from an academic CV), maybe write a cover letter, and repeat as necessary: shaking your fist at HR and shaking your head at how hard it is to get an interview. The trouble with this approach is that, per Mr. Bolles, it’s not how employers tend to fill positions. They don’t start with a pile of resumés and cover letters from largely unknown applicants, as perhaps academic hiring committees do. Instead, hiring managers much prefer to hire from within – very much unlike a lot of academic tenure-track positions – or interview candidates that come recommended from trusted sources. The one caveat I’d make to the chart on the left (click here to see a larger version) when it comes to PhDs is the second category, Using Proof. Some folks with specialized technical expertise or knowledge can apply “cold” and secure an interview without any connection to the organization. We know a few PhDs who’ve done that, including a senior engineer with years of experience using a particular scientific instrument and a computational biologist who did her doctorate in, you guessed it, computational biology. However, even in cases such as these, networking is still crucial. The vast majority of PhDs just leaving academia secure meaningful employment either From Within or Using a Best Friend or Business Colleague. This isn’t nepotism; it’s smart hiring practices. The first step in the Parachute process is doing a self-inventory. This is no small task: Mr. Bolles devotes nearly 100 pages to it (Chapters 4 and 5). These pages contain questions and exercises – a lot of them. They range from prompting you to make ranked lists about what skills you have and where you want to live, to writing stories about times in your life when you felt most energized and engaged. 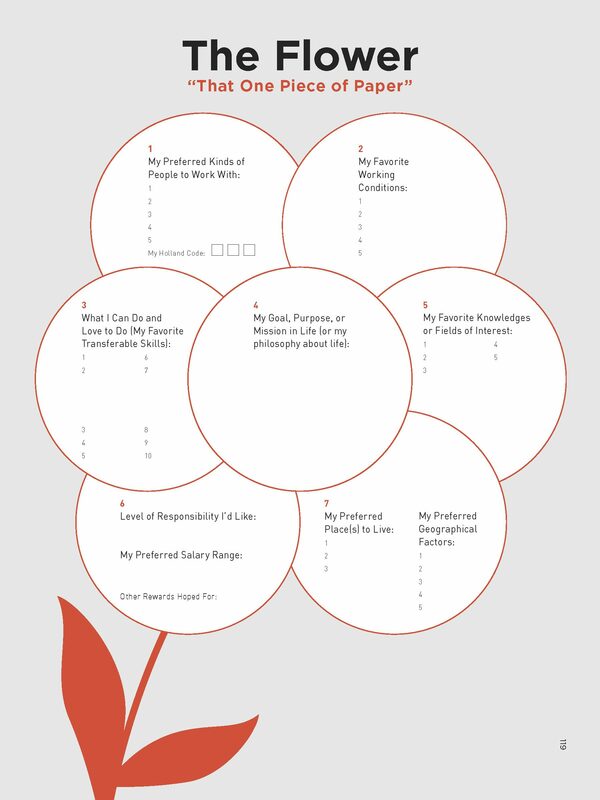 The end result of all this work, should you do it, is a completed “flower”, including seven petals for the different inventories you take or decisions you make about your ideal future job/career/life. Doing this self-reflection work will take you a while. And that’s okay. Start with one petal and plug away at it, bit by bit. Once you are clear on your professional interests and goals, it’s time to look at what’s out there in terms of job options. PhDs will want to adjust some of Mr. Bolles’ advice; for example, simply walking into an office is probably not a good strategy. But informational interviews absolutely are. The vast majority of doctoral degree holders we’ve interacted with employed this strategy to much benefit, for their own education and networking. Mr. Bolles’ urging that job seekers pay special attention to small organizations instead of focusing on large ones is also excellent advice. Sure, lots of PhDs work at Google; but a great many more work at hundreds of companies and organizations, and it’s usually much easier to get hired at a smaller company than a larger one. I recommend PhDs approach Parachute‘s resumé chapter – somewhat confusingly titled, “Google Is Your New Resume” (Chapter 7) – with caution. Read it, but go elsewhere for better advice and examples. The book’s advice on LinkedIn is excellent, but omits one key part of the platform: the article feature. Instead of creating your own blog on your own website, take advantage of the built-in publishing platform on LinkedIn. PhDs are well positioned to make excellent use of this feature. Consider using LinkedIn’s native video feature, too, if oral communication is one of your top skills. The next two chapters, on interviewing and salary negotiation, are strong. They cover a lot of ground and offer excellent information, advice, and preparation materials. Mr. Bolles’ thoughts on “handicaps” (Chapter 10) may rub some readers the wrong way – we’ve all got them, he writes – but his point is well taken: no matter what your situation, there are employers out there eager to hire you. You just have to find them. Two final chapters include suggestions for career changers, which would include many PhDs, and some quick suggestions for folks interested in starting their own businesses. An appendix includes the author’s thoughts on “Finding Your Mission in Life” (with a spiritual/religious angle), “A Guide to Dealing with Your Feelings While Out of Work,” and “A Guide to Choosing a Career Coach or Counselor.” Read or skip these as appropriate. Finally, there’s a list of mostly U.S.-based coaches near the end of the book. 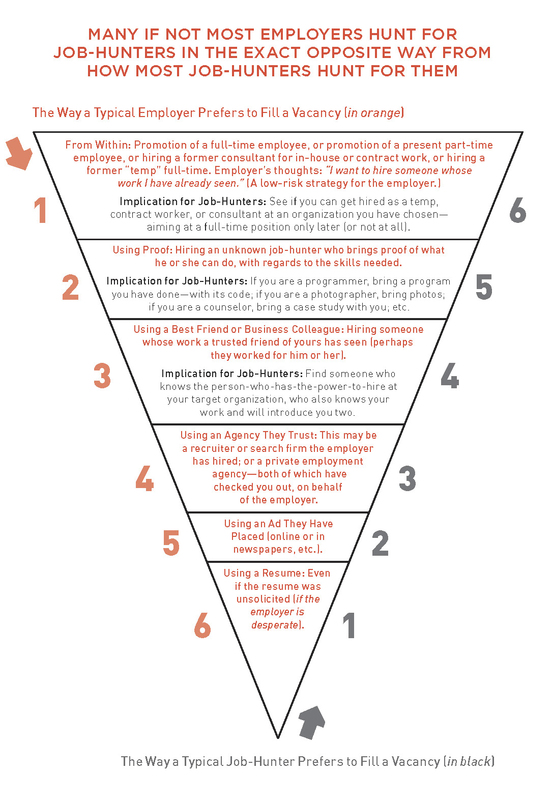 No one book can cover everything a job seeker might find useful to know, but with that in mind, Parachute is an excellent resource for anyone seeking employment outside academia. The book’s many and varied examples (case studies), exercises, lists of skills and questions, explanations and definitions, and reminders and encouragements should help you kick-start or reenergize your job search. If a particular piece of advice or bit of information strikes you as odd, investigate further; that’s what PhDs are good at! A real strength in this book vis-à-vis career guides that target graduate degree holders specifically is the emphasis on self-knowledge. The flower diagram and the many questions and exercises you’re encouraged to do (“take out a blank piece of paper and write…”) are rightly emphasized. They may seem onerous or repetitive – and some can probably be skipped – but it’s worth taking these chapters seriously, particularly when the stakes are so high. And the stakes often are high for those of us who have PhDs, years of academic experience and expertise, advanced levels of transferable skills, and accompanying lives and commitments that come with not being 22 years old anymore. Invest time and energy in understanding yourself and your needs and you will be a strong job applicant. The bottom line when it comes to finding your next job, one that will suit you and your goals and allow you to build an engaging, meaningful, and rewarding career for yourself, is that it takes work. Eschew it at your peril. Good luck and happy reading – and list making!